Brandon Gibson, the striking coach of former light heavyweight champion, Jon Jones, says that Jones' successive layoffs from the sport have, in fact, extended his career inside the Octagon. Gibson recently featured on Luke Thomas' MMA talk show-'The MMA Hour' where he elaborated on the matter, as well as Jones' upcoming title fight against Alexander Gustafsson at UFC 232, on December 29th, 2018. Jon Jones is widely regarded as one of the greatest martial artists to ever grace the Octagon, in recent times. At the age of 23, Jones became the UFC's youngest title holder after beating the extremely durable, Mauricio 'Shogun' Rua, at UFC 128. He then went on to defend his light heavyweight title, eight times, surpassing the previously set record of five title defences by former UFC champion, Tito Ortiz. During his run with the UFC, Jones has been suspended indefinitely on three different occasions, from violating the code of conduct to a hit-and-run incident, and failing successive drug tests. His most recent suspension included a 15-month hiatus from the sport after he tested positive for an anabolic steroid, Turinabol, just a few days following his championship victory return against Daniel Cormier at UFC 214. “He’s not getting his brains battered in [during his time off]. He’s not getting concussions. He’s taking care of his body and his mind, and this is such a — at this top one per cent, these guys are tough. That’s not an aspect that comes with sparring or anything like that." "The time off where we’re not having impact, where his body’s not getting beaten up and broken down, where we’re just continuing to evolve the skill and the technique and the strategy and develop Jon that much more as a martial artist is key. And you said he’s 31, he has a long fight career ahead of him still, and he really feels like this time off has prolonged his career that much more." Gibson was also seen weighing in on the toughness of Jones' next Octagon rival, Alexander Gustafsson. 'The Mauler' has, thus far, been the only one to come the closest to end Jones' winning streak in the UFC, when the two first met at UFC 165, on September 21st, 2013. Jon Jones will be returning to the UFC on December 29th, 2018, to a sold-out crowd at the T-Mobile Arena in Las Vegas. As spelt by Brandon Gibson, Jones' time off from the Octagon could prove to be the bonus factor in regards to the former champion's recovery from the brutal nature of the sport. 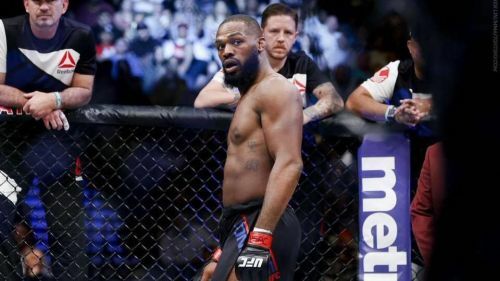 Any early predictions for Jon Jones' comeback fight against Alexander Gustafsson? Leave your thoughts and opinions in the comments section below!